Heat recovery single-room units. Maximum air capacity up to 50 m³/h. Arrangement of efficient energy-saving, supply and exhaust, single-room ventilation in flats, houses, cottages, social and commercial premises.Reducing heat losses caused by ventilation due to heat recovery. 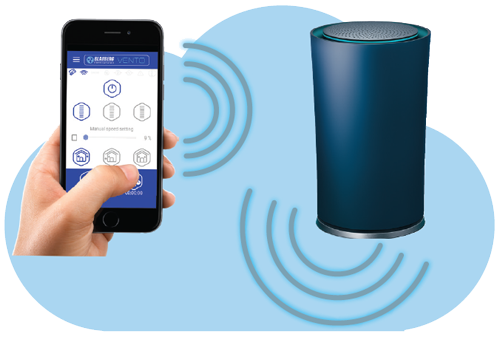 Humidity balance and regulated air exchange create individually controlled microclimate.Wi-Fi communication between several single-room ventilation units for coordinated operation.Controlled by Android or iOS smartphone or tablet. exchanger cells. 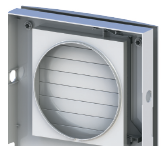 Integrated automatic airshutters prevent air backdrafting. and Android or iOS device control. The units can be connected by Wi-Fi for synchronized operation. 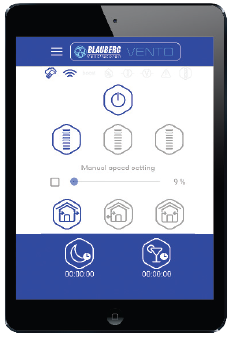 The units can be connected by Wi-Fi.Blauberg Vento app for Android or iOSdevices is available at Google Play and AppStore. Completion of the installation before commissioning of a house. It includes installation of the indoor unit with controller and shutters, the cartridge, the regenerator, the fan and the filters. F8 filter (1 pc.). Filtration rate PM2.5 99 %.